The newly opened November 2018 hotel offers affordable luxury in 152 comfortable rooms, 3,400 sq ft of meeting space, two restaurants and friendly, detailed service in a trendy and design atmosphere. Convenient downtown location. Contemporary decor. The newly opened Alt Hotel Calgary East Village marches to a different beat by offering guests everything they need without any extra fluff. The property is carefully crafted to combine comfortable and well-thought-out rooms, free super-fast Wi-Fi and sleek urban design with an eco-friendly environment – always keeping invitees in mind. What’s more, guests also benefit from no set check-out time policy and from the best rate promise while booking directly on the website. 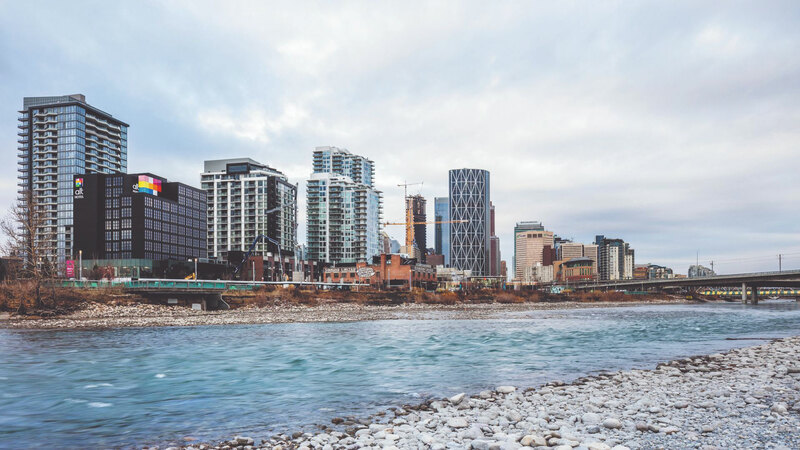 Located in the heart of the dynamic East Village, at the corner of Confluence Way and 6th Avenue SE, Alt Hotel Calgary East Village offers stunning views of the Bow River and downtown Calgary. 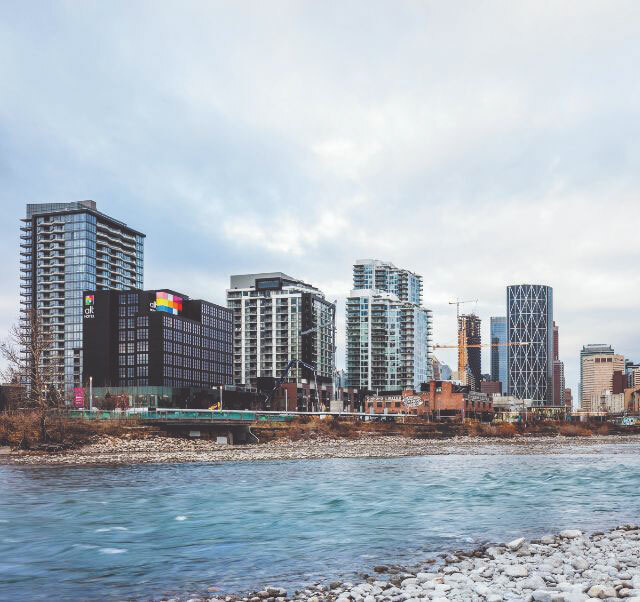 The hotel is conveniently located within walking distance of many local attractions such as the Saddledome and Calgary Stampede, Studio Bell, St. Patrick’s Island Park, New Central Library, Fort Calgary & River Walk, Glenbow Museum, Calgary Tower, Stephen Avenue and many restaurants. Alt Hotel Calgary East Village is the second Group Germain Hotels property to emerge in Alberta, following the opening of Le Germain Hotel Calgary. Super-fast Wi-Fi and chromecast in a modern environment. Tesla and electric vehicle charging stations are available.